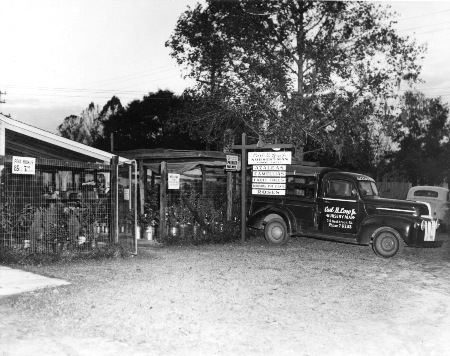 Carl B. Loop, Jr. founded Loop's Nursery & Greenhouses in 1949 with a meager investment and a passion for gardening. He opened the nursery business with a truckload of lush tropical and subtropical plants, flowers and shrubs from South Florida. Three days later, a devastating freeze wiped out his entire investment but did not crush his enthusiasm for landscaping and gardening. With a smile on his face and hope in his heart, he decided to take up landscape work by cutting lawns and trimming hedges. All the while he worked late into the night drawing landscape plans and keeping his dream alive. Seven years later, he rebuilt the nursery business and from that point forward he never looked back. In the 1960's Loop was one of the first in Florida to use drip irrigation. He was one of the first to control greenhouse temperatures using evaporative cooling panels. And he was the first to grow potted chrysanthemums year round by means of the black cloth shade system to control day length. In the 1980's Carl's son, David, assumed the primary role of running the nursery. Seventy percent of the plants from Loop's Nursery are sold in supermarkets in the Southeast and on the East Coast. 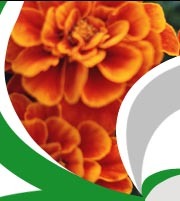 Five percent go to retail nurseries and florists, some of which the nursery has been doing business with since the early 1950's when Carl Loop started the business. Today, Loop's Nursery & Greenhouses encompasses 650,000 square feet in two facilities supplying upscale potted plants, flowers and shrubs to high-end floral retailers around the world.